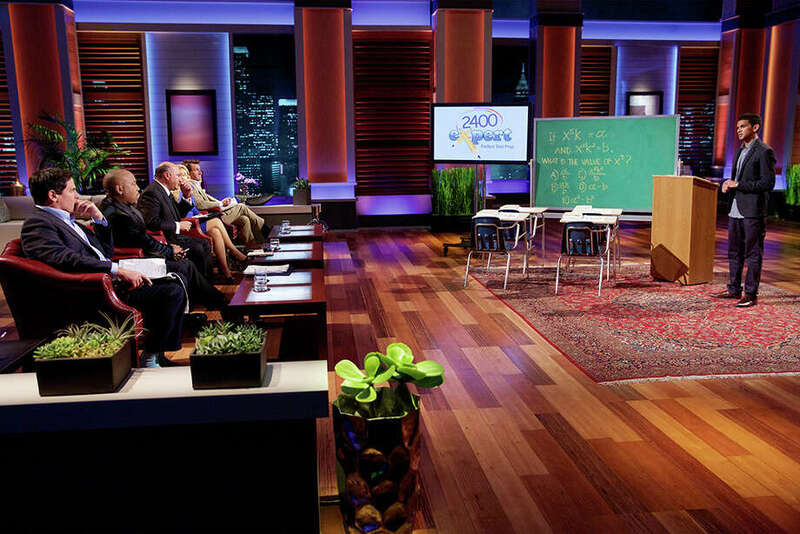 By the time national viewers see Shaan Patel pitch his test prep company on “Shark Tank” Friday night, his business 2400Expert will already have been on a two-year upward trajectory. While professing that he is not yet a millionaire, Patel recently opened a new office in Darien that is one of 20 that launched nationwide since 2011. Five years ago, he was a college senior teaching a course premised on the idea students could apply the same strategies he developed as a teenager to boost their SAT scores. Patel has been studying at the Yale University School of Management on how to expand the business, taking a break from medical school at the University of Southern California to earn his masters in business administration. Last April he attended an audition for “Shark Tank” in New York City, waiting nine hours with hundreds of other entrepreneurs to give a 60-second pitch to a casting director. “I worked for seven or eight hours on that pitch,” Patel said. After being called back for a second round of auditions, Patel was asked to produce a five- to 10-minute pitch video for producers to review. Patel turned to his Yale classmates for input, he said. Patel’s entrepreneurial dream got a kick-start five years ago as a result of his failure to sell a book proposal as a student at University of Southern California preparing to enter medical school. Patel received dozens of rejections from publishers for a proposed how-to book named “SAT: 2400 in Seven Steps,” as publishers told him his own success was not enough to support a claim he could help others ace the test. That summer Patel invested $900 to start 2400Expert, teaching an SAT prep course in Las Vegas and advertising it as the only program taught by someone with a perfect score, he said. “I taught some six-week courses and it was supposed to be a summer thing but the first class had an average improvement of 376 points in their scores,” Patel said. A native of Las Vegas, Patel resolved as a 15-year-old high school sophomore to boost the 1,760 he received on his first practice SAT at the end of that year. Patel spent his childhood at the Sky Ranch Motel, a 26-room hotel his parents owned and operated. During his junior year, Patel spent hundreds of hours at the public library working to analyze the SAT in hopes of improving his score. His parents no longer live at the hotel, but still own it, Patel said. Patel took care not to violate the show’s confidentiality agreement in advance of the show airing, but said he was impressed with the business acumen of investors on the show such as Dallas Mavericks’ owner Mark Cuban and FUBU clothing founder Daymond John. Patel will appear on “Shark Tank” at 9 p.m. on ABC on Friday, Jan. 29. For more information about his company, visit 2400expert.com or call 1-877-345-7737. The company’s Darien office is at 30 Old Kings Highway South.